Point Europa (UK) specializes in adult education opportunities, vocational and non-vocational training, support and guidance, youth and community work. Their objective is to improve the economic and social situation of Cornwall, which has high unemployment, insufficient public services and limited opportunities, through education and training. They work with disadvantaged groups towards social inclusion and to improve life opportunities. Since 2005 they have worked in over 60 various EU programmes, both as project coordinator and as partner. KMOP (GR) has 40 years of experience in providing support to vulnerable groups. KMOP’s main areas of expertise include social welfare and health, employability and human rights protection, scientific research and the development of know-how in social policy issues. Apart from direct provision of services through decentralised community based facilities, KMOP has vast experience acquired through implementing over 100 EU funded projects addressing social issues particularly focusing on low-skilled youth and adults and long term unemployed, victims of violence and trafficking, migrants and minorities, disabled, elderly. BEST (AT) is an independent organisation for providing continuous training, vocational qualification and career services. Its main activities comprise the development of innovative training programmes for young (+16) individuals and adults, many of them disadvantaged and with migration background, on continuous and vocational training, counselling & coaching and activation for job seekers and employees. The training schemes are client-oriented and based on both the specific needs of the labour market and the participants’ individual situations, skills and competences, previous experience and life circumstances.Since 1995, BEST has been engaged in more than 180 European projects, both as coordinator and partner, in the framework of various EU programmes (Leonardo, Socrates/Grundtvig, EQUAL, LLP, ESF, eTEN, FP, EuropeAid, Erasmus+, H2020, IEE, INTERREG, etc.). Pistes-Solidaires (FR) is an educational organisation that champions the knowledge, skills and attitudes that promote justice and equality in our multicultural society and interdependent world. It is very active at European level, and comprises 3 departments: Educational mobility; European cooperation (that manages various projects, such as Grundtvig multilateral projects, Fundamental Rights & Citizenship, Leonardo Transfer of Innovation in previous programmes, KA1, KA2 and KA3 since 2014); and Local development. 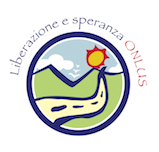 Liberazione & Speranza – LeS (IT) supports since 2000 women victims of trafficking. It provides to the women social protection and the chance to get through slavery via direct aid to the women, re-introducing them in the social and working world, language lessons, resource training, stages and work bursaries. It also offers services such as street’s units, counselling office, juridical, economic and sanitary assistance, and since 2012 it has been implementing projects focusing on the provision of work experiences through professional courses and 3/6-month trainings for women victims of trafficking and/or gender violence. EEO GROUP (GR) is a management consulting firm providing consulting services, conducting studies, developing new technology applications and providing services in the area of human resources. EEO has been implementing EU Funded projects since 1995, among which a number of Lifelong Learning projects. In the framework of these projects, EEO has contributed to research of the current status in the VET and adult education in Greece, apprenticeship schemes, development and implementation of training activities, IT instruments, quality assurance as well as dissemination activities.